Editors working on an assignment with CopyPress should know how to properly execute all aspects of the process from acceptance to completion. This article will walk you through the editor assignment process from accepting an assignment to submitting the completed work. 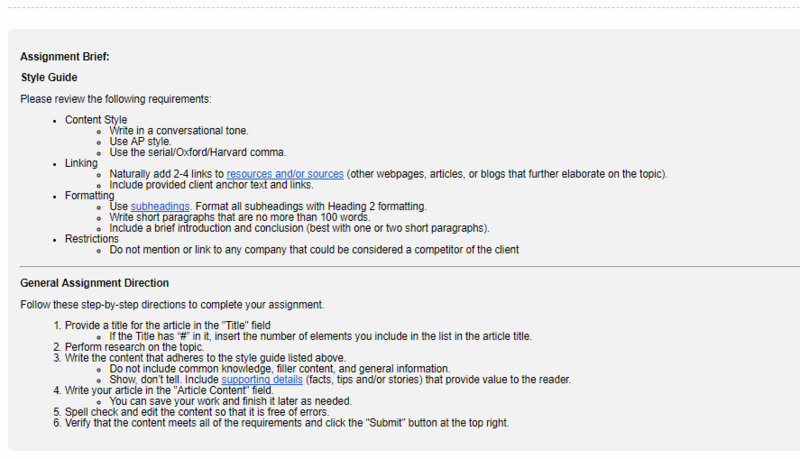 If you’ve been offered an assignment as an editor, then you’ll need to complete the project inside the CMS. You will receive notification that an article is ready for editing. 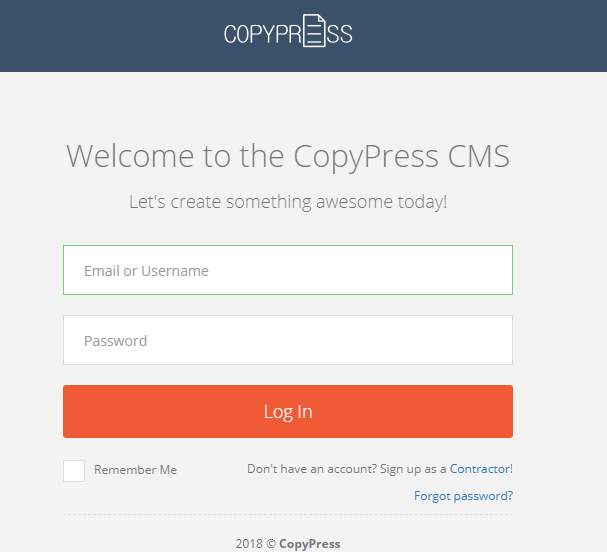 You will edit the article inside the CMS. When you are ready, you will approve the article and submit it to the next stage. If prompted, you will complete a grading rubric assessing the writer. A QA member will review the article (they may request revisions). The client will review your article (they may request revisions). Your project manager will review and approve the article. Below is a rundown (start-to-finish) of how to complete an editor assignment. You will receive an email notification when you have a project offer open. If you’d like to accept or decline the offer, you’ll need to log in. In your Task Invites tab, you will see all open offers. This is where you'll navigate to accept or decline the offer. A. Payment Amount: This shows you the per word rate for this specific assignment offer. B. Word Count: This shows you the desired word count for this assignment offer. C. Due Date: This shows you when you will need to deliver the assignment by. D. Expires In: This indicates how long you have left to accept or decline the assignment offer. E. Decline: Click this button if you do not want to take the assignment. F. Accept: If you decide to accept the offer, click this button. Make sure you understand all requirements of the project before accepting. You will also receive an email that provides more specific details about the assignment such as the Assignment Brief and Assignment Directions. These notes were given to the writer and provide the basis for how you should edit the assignment. Once you accept an assignment, you will then be able to click on your Tasks dashboard to see more details about your tasks for each assignment. In your My Tasks section of your account, you will see tasks that are “Upcoming”, “In Progress”, “Submitted”, and “Completed.” All tasks marked as “In Progress” are ones that you need to complete. All tasks that are “Upcoming” will be completed at a later date. You will receive email notifications when you have tasks that move from one status to the next. You will also be able to see how many days are left for your assignment to be finished. Upcoming: Because editing comes after article writing in assignments, you will see accepted offers in "Upcoming" until the writer submits the article. Once the writer submits the article, it will then move into the "In Progress" tab. In Progress: After the writer has submitted the article, you will then see the task move from "Upcoming" to "In Progress" which means you can now complete your editing task. Simply click the Assignment name to go into your editing window. To get started on your project, go to your In Progress tab and click on the Assignment name. This action will open a new window which is the article assignment window. This is where you will complete and submit your editing assignment. In the editing assignment window, you’ll see a few important features. A. Assignment Title: This is where you will see the title provided by the writer. If you need to modify it, you can do that in this field. B. Assignment Content: This is where the writer wrote and submitted their content. You will need to make all revisions inside this window. If you paste content into this field from Word, the formatting may be removed. C. Save: You may start editing an article and decide that you need to finish the rest later. If you want to come back to an assignment without losing any revisions, you will need to click "Save" to update the assignment. D. Request Edit: In most instances, we ask editors to do their best to make minor revisions and adjustments on their own. If you do need to send the assignment back to the writer for major revisions, then you will need to submit an edit request. There are more details about edit requests below. E. Approve: After you've made all revisions and edits, you will need to submit the article to the next stage in the workflow by selecting "Approve" in the top right corner of your editing window. F. Assignment Brief: This is a very important widget!!! This is where you will find details about the specific assignment, including things like Word Count, Article Topic, Article Direction, Links to add, Resources to use, Pay Rate, and Due Date. You will also find details about the style guide and other important information. All these details were provided to the writer and it is your job as the editor to make sure the assignment matches the expectations outlined in the Assignment Brief. If it doesn't, then you will need to revise the assignment or request an edit. G. Comments: This is the area of the page where you can leave comments about your assignment and ask questions to your project manager. It’s also where the writer and QA member can ask you questions or answer any questions you may have for them. This is where ALL communication about this specific assignment needs to be. H. Activity Log: This window will let you see all actions that have happened on this specific assignment. This could include, you accepting the offer, the writer submitting the first draft, you requesting a revision, the writer submitting the second draft, etc. This is just a nice way to track the activity of the assignment. I. Help Widget: Some pages in the CMS will have a help wizard that walks you through the different elements of the page. If you want to refresh yourself, click the question mark icon to get a walk-through of all elements on the page. If you need to send the assignment back to the Writer for an edit or revision, then you will need to complete the "Edit Request" function. You can do that by selecting "Request Edit" in the top right, which will then bring the popup you see in the screenshot above. Before you submit an edit request, make sure you have reviewed the entire article and provided all requested edits in one comment. You can also use this resource to format your edit requests/feedback. Once you request an edit revision, the assignment will rewind to the previous task. This means the writer will have to make your edit requests and resubmit. The writer may also ask for clarification via the Comment window. You will get a notification if the writer submits a comment/question. Once the writer submits their next version of the assignment, you will need to revise and edit the submission. Before you select "Approve", make sure to double check the article against the style guide and assignment brief provided. You may be asked to review the writer after you approve an assignment. A separate window will pop up for you to answer a few simple questions that will be used to grade the writer's performance on this specific assignment. After you hit Approve, a QA member and the client will review the assignment. If they have revisions, they will send it back to the writer to revise and it will filter back to you to edit again. If they have minor edits, they’ll make those here. Once the article is finally approved, they’ll hit approve. If they do request a revision, you will receive details about their edit request. After the assignment has gone through all series of revisions, your project manager will do one final review. If there are any issues with the assignment, then a final edit request may be made. 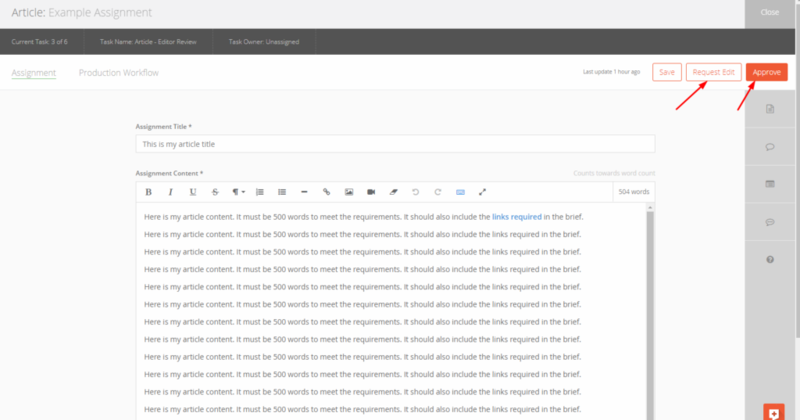 Once complete and approved, you’ll see the two tasks inside your Completed section of your My Tasks dashboard. Payment will commence within 90 days from the week when your assignment was submitted.